Some of Johnson & Johnson's products.. 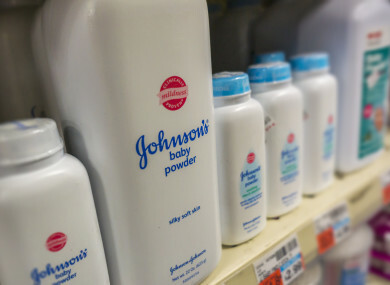 US PHARMACEUTICAL GIANT Johnson & Johnson has been ordered to pay out $4.69 billion (€4 billion) in damages in a lawsuit representing 22 women and their families who alleged a talc sold by the company contained asbestos and caused them to suffer cancer. According to the victims’ lawyer, Mark Lanier, a jury composed of six men and six women in St Louis, Missouri, ruled in favour of the women after a six-week trial and eight hours of deliberation. The damages include $550 million in compensation and over $4.1 billion in punitive damages. J&J said it was “deeply disappointed in the verdict”. In a statement, it described the trial as “a fundamentally unfair process that allowed plaintiffs to present a group of 22 women, most of whom had no connection to Missouri, in a single case all alleging that they developed ovarian cancer”. The company said its talc does not contain asbestos or cause ovarian cancer, and vowed it would “pursue all available appellate remedies”. Email “Johnson and Johnson ordered to pay $4.69 billion damages in talcum powder cancer case”. Feedback on “Johnson and Johnson ordered to pay $4.69 billion damages in talcum powder cancer case”.